The most powerful NAD ‘Hybrid Digital DAC Amplifier’ is well equipped and an entirely compelling performer. Full Disclosure Power – it’s an interesting concept in a market where the output of amplifiers is much discussed but little understood. Too often buyers aim for the highest number their budget will afford, thinking more must be better but without looking closely at how those numbers are quoted, let alone what they mean in real‑world listening. These days amplifier power is quoted into an 8 ohm load, sometimes with a subsidiary (higher) figure given for the output into 4 ohms, but even here there’s room for manoeuvre: the figure is sometimes given with a higher allowance for distortion, at 1kHz rather than across a more meaningful 20Hz‑20kHz spread, and even with only one channel driven. Full Disclosure Power is a NAD thing. The Canadian-based manufacturer makes it clear that the numbers it gives are across a sensible frequency range, with a given level of distortion, and says its amplifiers do what they claim, even when faced with speakers presenting a demanding load or, even worse, with wayward impedance variations by frequency. The C 388 amplifier we have here, the largest and most powerful in the company’s three-strong ‘Hybrid Digital DAC Amplifier’ line, sells for £1499 and is capable of delivering the same 150W continuous power into 8 ohm or 4 ohm speaker loads, and delivering ‘dynamic power’ – ie for instantaneous peaks in the music – of 250W into 8 ohms, rising to 400W into 2 ohms. It does this using a NAD-modified version of the Hypex UcD Class D amplifier module – not, as is commonly thought, a digital amplifier but a switching analogue design with exceptionally good handling of the demands of varying load impedance as well as high current capability. The NAD additions mean lower distortion, while the use of a driver stage and output sections built with discrete components rather than the ‘easier’ chip solutions further reduce distortion. Add to that a NAD‑designed switch‑mode power supply built for low interference, both electrical and acoustic, and you have an amplifier not only designed for high power but also with both low distortion and high energy efficiency. But that’s only half the story. As well as being an amplifier designed for analogue sources, with three inputs including a very good moving magnet phono stage, the C 388 has both conventional digital inputs – two optical and two coaxial – and built-in Bluetooth with aptX capability, allowing wireless streaming of audio from phones, tablets and computers. That opens up a whole range of connectivity possibilities, from playing iTunes or streaming music services straight from the palm of your hand through your hi-fi system to the connection of a computer or even a TV to allow the viewing of the increasingly popular ‘live concert hall’ services. The Bluetooth implementation also allows the C 388 to operate as either a ‘sink’ – ie a device to which other units can send music, as is usual with amplifers of this kind – or as a source, for example playing music out to Bluetooth headphones or speakers. It also allows the NAD Remote App on smartphones or tablets to control the amplifier, in addition to or in place of the provided learning remote handset. However, even all that – plus the provision of two sets of switched speaker outputs, along with various custom-instal-friendly connections including 12V trigger, RS232 computer control and the ability to accept an external infrared remote receiver – isn’t the whole story here. Like other amplifiers in the NAD range, from this C line‑up all the way through to its massive Masters Series, the C 388 is built using the company’s Modular Design Construction, which provides a pair of slots to the left of the rear panel, into which can be inserted expansion modules to provide upgrades or add facilities. In the case of the C 388, the headline add-on is the MDC DD‑BluOS Module, which sells for around £300 and adds not just compatibility with the products made with sister company Bluesound’s BluOS multiroom system but also playback of music stored on a local network, plus services such as Spotify Connect and Tidal, complete with MQA compatibility for Tidal Masters files. USB storage devices containing music can also be connected via one of the module’s two USB Type A ports – yes, there’s a USB socket on the amplifier itself, but this is provided purely for service purposes, and won’t allow you to play music. The other USB port on the module can be used with the supplied Wi‑Fi dongle should you wish to connect the amplifier wirelessly to your network, the BluOS system being designed to handle even hi‑res music over wireless, and there’s also an Ethernet port for wired network connection. Like the other C Series NAD amplifiers, the C 388 belies its performance with a design that’s extremely easy to set up, use and live with. Installing the BluOS Module is the work of a few moments, and control is then via a dedicated app for Android or iOS devices; but even used ‘bare’ the amplifier is both simple and logical. The menu system allows inputs to be renamed as well as enabled or disabled, turns the tone controls on and off and adjusts them, as well as switching the pre‑out sockets on the rear between full-range – for example to drive an external power amplifier – and subwoofer out, with or without high pass filtering, which delivers all frequencies below around 150Hz to a connected subwoofer and not through the amplifier’s own outputs. The sound lives up to all the promise of that amplifier design. I’ve used the junior sibling, the C 368, in the past, and this amplifier takes that formula of insight and power and adds to it – well, even more insight and power. The major impression is of an amplifier very much working within its own limits, even when you push the levels up past the exciting point: there’s no sign of stress or strain about the sound, even with the largest of orchestral works, and there’s every sense of bags of energy in reserve for the dynamic swings of the music. That means the NAD always sounds assured and entirely in control, but without any sense of sitting on the music or holding things back. With the joyous sound of the Danish Quartet’s ‘Last Leaf’ album of Nordic folk music (ECM, 12/17), the speed and resolution are very much in evidence, along with a lovely fluid view of the instrumental timbres, and it maintains this level of detail and definition when you play larger-scale works such as Scriabin’s Second Symphony (Gergiev), in another of those vibrant LSO Live recordings (7/16). The weight and bass definition are excellent, giving the sound a richness and warmth; but this is never overbearing and the overall presentation has a natural, smooth balance that’s immensely attractive. There’s no shortage of competition at the C 388’s price-level, with models such as the big Rotel RA‑1572 coming in at about £100 less and offering a similar specification, albeit in a rather larger and more overtly macho form-factor than the slimline, understated NAD. But the opportunity to integrate music streaming – which works very well indeed – into the C 388 makes it an appealing prospect, and the performance is more than up to the standards of the class. 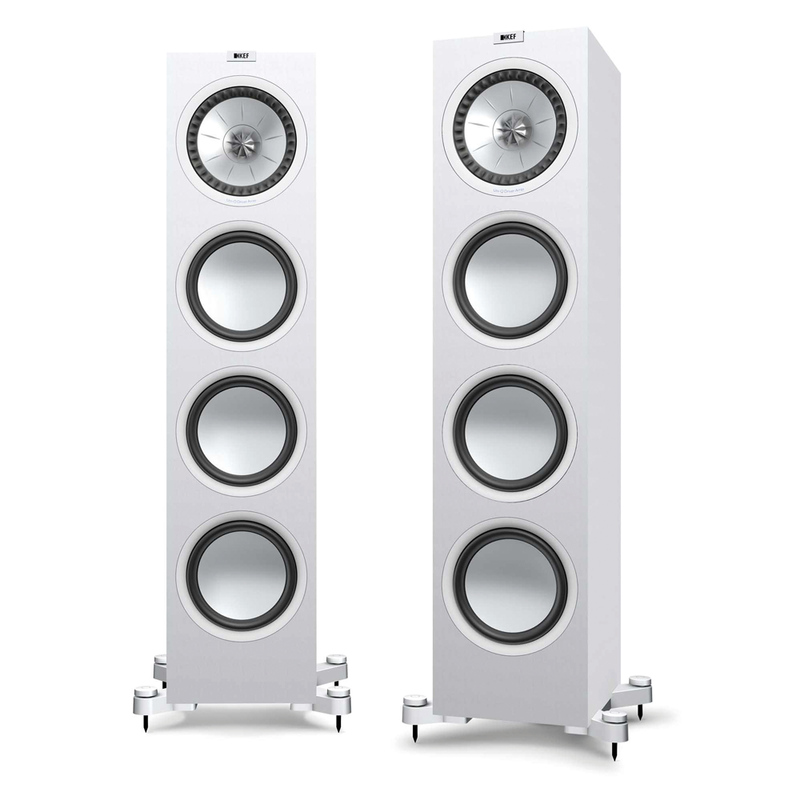 With plenty of power on tap, the C 388 will match well with big, hard-hitting speakers: the KEF Q950 combines UniQ technology for precision with 20cm bass drivers. As mentioned in the main review, the NAD isn’t exactly without competition, and the heavyweight integrated amplifier has staged something of a comeback after a period when it seemed there was a yawning gap between sub‑£1000 offerings and those priced up in the stratosphere. The Rotel RA‑1572 is a recent addition to the sector and combines the company’s traditional virtues of solid build and high power for the money. At £1395, it also has a sophisticated digital section including Bluetooth, multiple digital inputs and a USB Type B input for direct connection of a computer. See rotel.com for more. 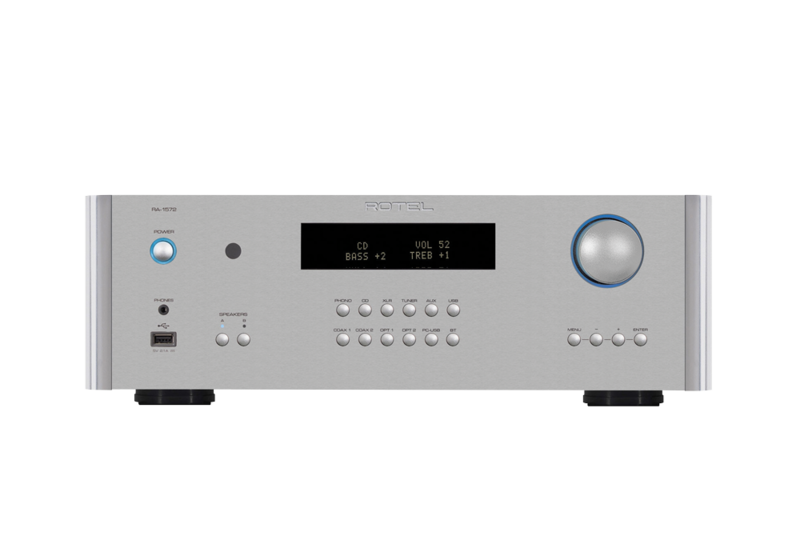 Coming in at a lower price is the Arcam A39 at £1249. Using the same Class G ‘turbocharger’ circuitry as the massive A49 integrated, it’s a pure all-analogue design, and – as with its rivals here – has a high-quality phono stage built in. But Arcam offers a solution for those wanting to add digital inputs: the A39 has a power output for the company’s add‑on R-line digital devices. For more details see arcam.co.uk. Also resolutely analogue is the Naim NAIT XS 2, the latest in a long line of slimline integrated amps from the Salisbury company. Six analogue inputs are provided – the £1859 amplifier is line-only – and the design is influenced by that of the pricier SuperNAIT, with which the XS 2 shares the ability to be upgraded with one of Naim’s offboard power supplies. More information at naimaudio.com.